All Nas needed was one mic, all I needed between 2004-2006 was one whiteboard and the precursors to the Gang of Four to entertain. This week is dedicated to the 110Crew, and the unending giggling that came out of one whiteboard! Q: From where does humanity's champion come? 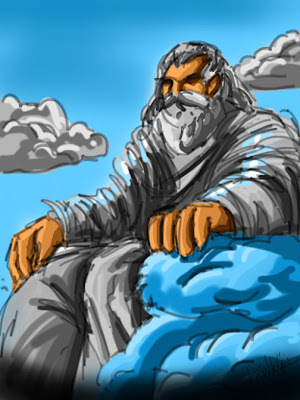 hmmm.. this is a finest portrait if zeus. 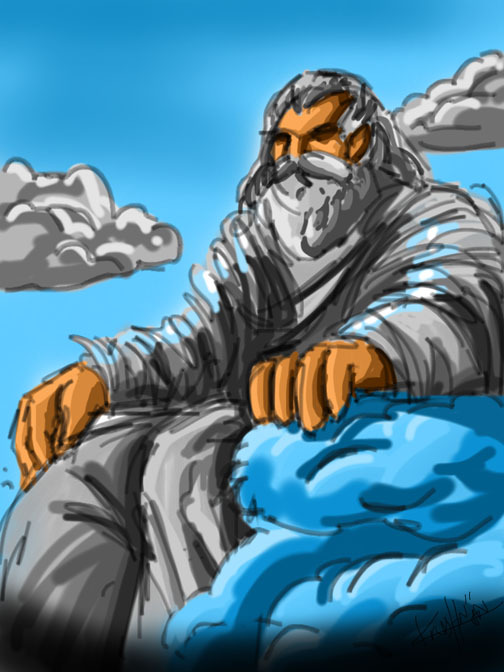 You are a good painter i must say and have faith in your god zeus. Best of luck for future blogs. your writing style is good.